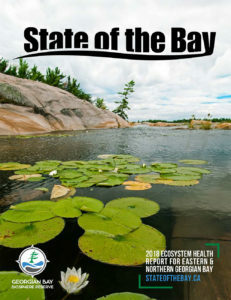 Welcome to our second edition of State of the Bay: an ecosystem health report for eastern and northern Georgian Bay. Our goal is to gather the best available research about water, wetlands, fisheries, and habitats in this unique landscape, and share it with people who care about Georgian Bay. While Georgian Bay can feel like wilderness, it is subject to virtually all of the same pressures as the other Great Lakes – invasive species, climate change and development pressures. To help monitor these changes, the Georgian Bay Biosphere Reserve (GBBR) and its many partner organizations launched the State of the Bay project in 2008. Expert advisers helped to select key indicators of ecosystem health. Much research was reviewed in order to determine environmental trends and the first State of the Bay technical report was released in 2013 – providing an analysis of water quality, wetlands, fish, and natural areas. It is available in magazine format and online. After five years of additional research, our second technical report is now available online, with new and updated information in the areas of aquatic and terrestrial ecosystem health. The report includes two important measures of climate change that connect our local observations to major global issues. This magazine is a summary of the indicators and the trends. Are things getting better, getting worse, or needing more research? There are still many gaps in our scientific knowledge, and many topics that we do not address. 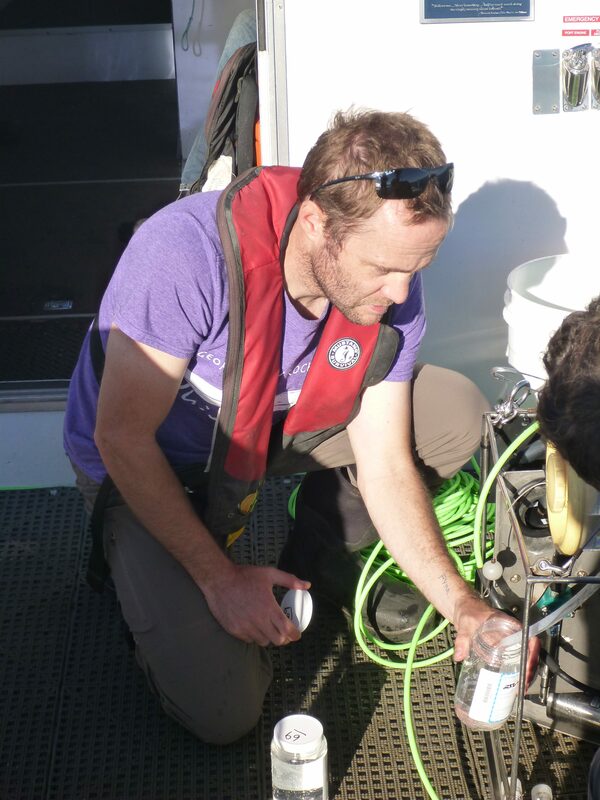 However, we hope that future research and citizen science will help to increase our understanding of how the environment is changing, and how we can be good stewards of the Bay. Thank you for your interest in the State of the Bay. We hope that you will learn something new and find ways to become involved!